Warm or chilled? Mayo or butter? Lettuce or no lettuce? Here are recipes for a chilled Maine Lobster Roll and a Warm Lobster Roll. Try them both and decide for yourself! Spread the outsides of each of the hotdog rolls with softened butter. 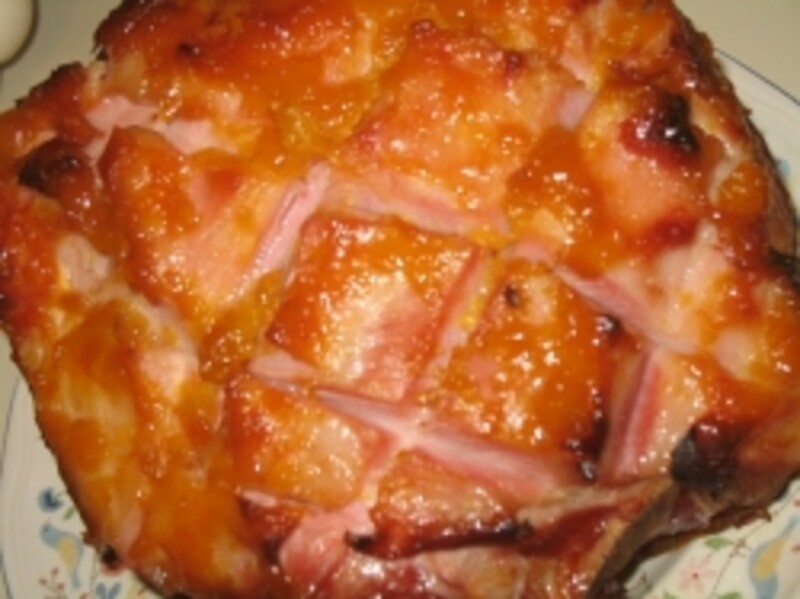 Place on hot griddle and cook until toasted on both sides. Remove from griddle. Cut or tear the warm lobster meat into large chunks at least 1", preferably 2". Place in a bowl and toss with melted butter so that all pieces are coated. Divide evenly among the hotdog rolls. Serve immediately with lemon wedges, cole slaw and french fries. 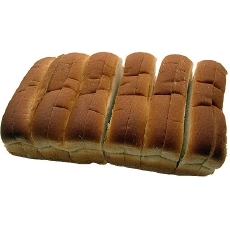 *If you cannot find real New England-style hotdog buns, which are cut on the sides, try buying slightly oversized buns and trimming the crust off of both sides. 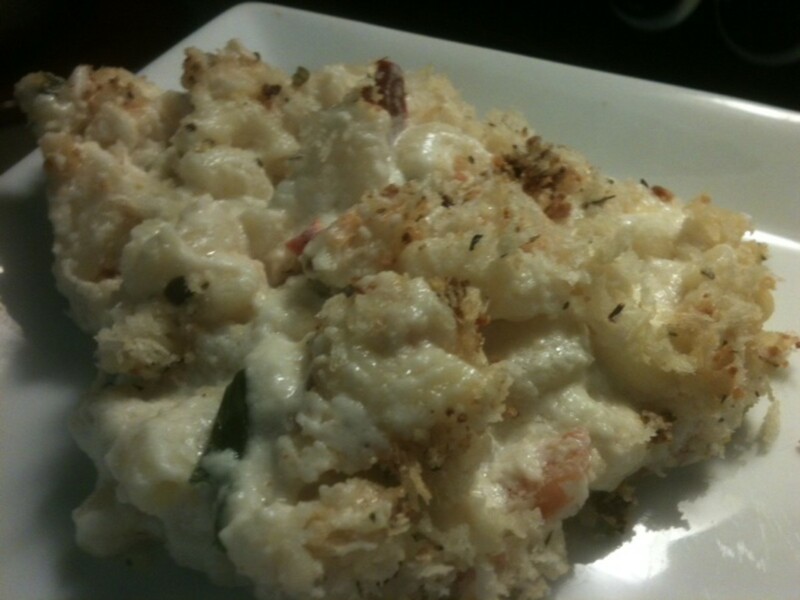 This recipe comes from Jasper White, author of " Lobster at Home". If you are using live lobsters, cook them fully and cool to room temp. Remove the meat from the shells and cut into 1/2" to 3/4" pieces. Place the cucumber in a strainer for at least 5 minutes to drain the excess liquid. Combine the lobster, cucumber, scallions and mayonnaise. Season with a bit of salt and pepper if needed. 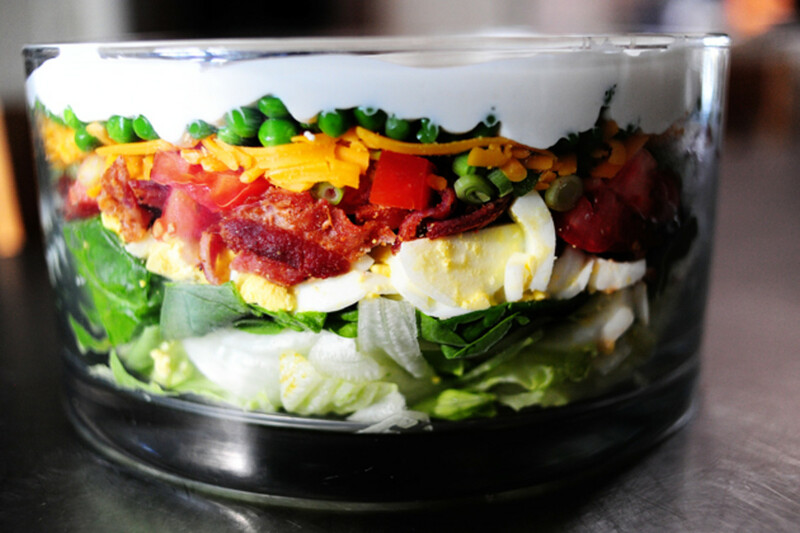 Cover with plastic wrap and chill for at least 30 minutes before serving. Heat a 10" skillet or griddle over medium heat. Spread each of the hotdog buns with 1 tablespoon butter (1/2 on each side). Place the buttered buns onto the hot dry pan and toast, without moving, until golden brown on one side, about one minute. Turn and cook the other side, about one minute more. Remove from heat. Open the buns and place in a paper bun holder or on a small plate. Place a lettuce leaf on one side of the center inside the bun. Spoon the lobster salad evenly among the buns. Serve with pickles and potato chips on the side. 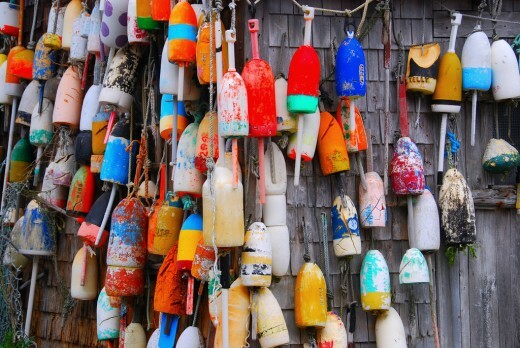 "Temperature's rising, the surf's pounding, the lobster harvest is at an all-time high. Bring on the lobster rolls! The roll: It must be a stand-alone hotdog bun, rectangular, flat on both sides, coming to a crisp right angle at the flat base. If it's oval or toasted, do not touch it. If it's not buttered, do not even look at it. The meat: It must be fresh and predominantly from the tail. It must be at least three inches wide at the top, extending at least an inch above the crest of the bun. No less than a quarter-pound of lobster per sandwich." Lobster rolls are one of my favorite summertime treats -- freshly cooked chunks of lobster drenched in melted butter, topped with a squeeze of lemon and served up in a grilled New England-style hotdog roll. Heaven. A few years ago during a trip to Maine, horror of horrors. I had just ordered a lobster roll at a local eatery, and was salivating in anticipation of that Maine lobster goodness. They simply couldn't make the order fast enough. Our lunch finally arrived and I was dumbfounded. There had to be a mistake. Some kitchen fool had dumped a load of lobster salad into a hotdog roll and was trying to pass it off as an authentic lobster roll. It couldn't be. I mean, there was mayonnaise on my lobster. MAYO! And there was lettuce. You don't serve lettuce on a lobster roll! They even had the audacity to put in scallions and celery... And the lobster was chilled. It was COLD! Dear Lord. I did finally recover from that tragedy and came to grips with the fact there are some ignorant souls out there who don't know how to make real lobster rolls. I even learned to ignore the few McDonald's that began to put lobster rolls, dubbed the McLobster, on their seasonal menu. I'll pretend it all doesn't exist and live happily ever after with my warm lobster roll. There is no definitive evidence that shows exactly where and how the lobster roll was created. It is generally accepted that during the 1800's, the wealthy New England women enjoyed serving lobster at their fancy luncheons, but did not want to deal with getting the meat out of the shell. Their chefs tried to come up with lunch-friendly ways to serve the sweet meat, and lobster salads were an obvious choice. In 1912, the first hot dog buns were commercially manufactured. It was sometime after this that the delectable lobster salads found their way into these buns, and the lobster roll was born. 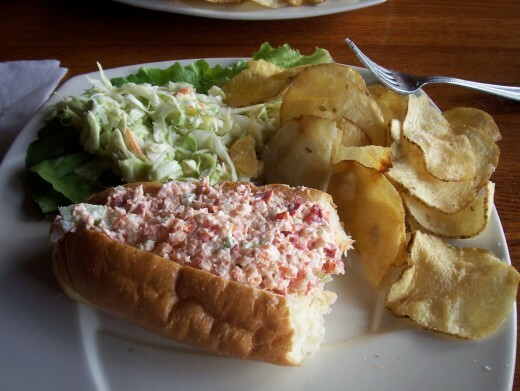 It is rumored that the original lobster roll was invented in 1966 by Fred Terry, owner of the Lobster Roll Restaurant in Amagansett, New York. 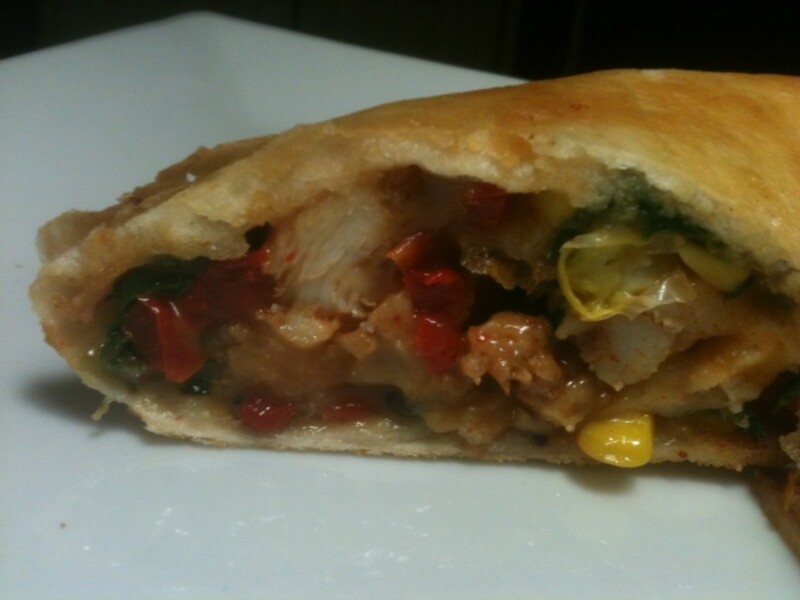 He created a recipe that contained mayonnaise and various seasonings and he served it in a heated hotdog roll. This version is quite often known as the Long Island or New York Lobster Roll. 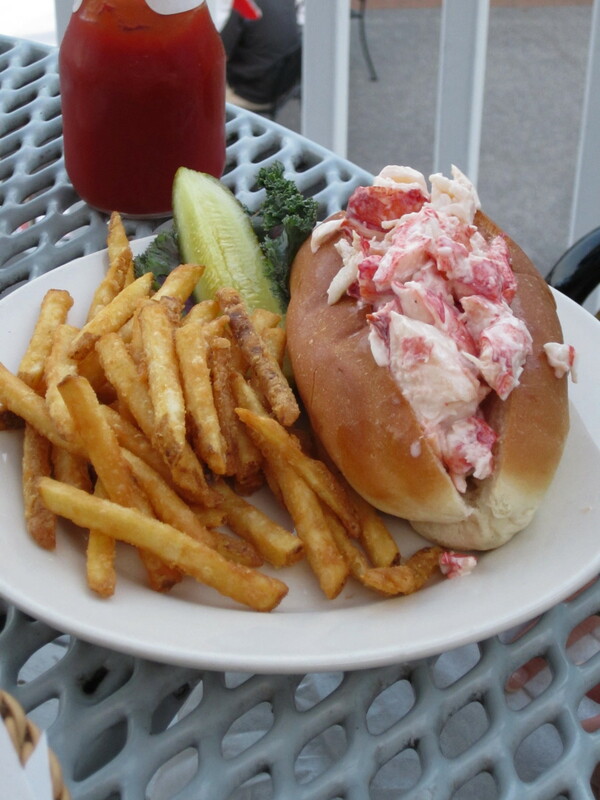 Sometime in the late 1920s or early 1930s, Ted Hale, a regular customer at Perry's restaurant in Milford, Connecticut, requested that warm lobster chunks be served in a grilled hotdog bun, and the Connecticut Lobster Roll was born. Its popularity spread and is now the standard preparation in and around the state. 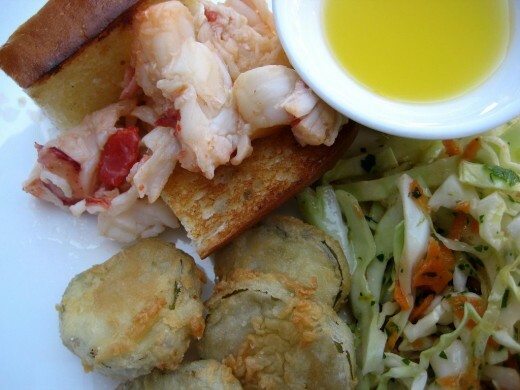 The Maine version of the Lobster roll is traditionally served with a dill pickle and potato chips. The Connecticut and Long Island versions are normally served with cole slaw and french fries. I grew up in New England (outside of Boston). I can't tell you how much I miss the autumn and the lobster! Thanks! Hahaha! I got a kick out of this, as I prepare lobster rolls pretty much like the Maine restaurant that horrified you. As a matter of fact, I wrote a Hubpage about it. And I learned the recipe when visiting the New England area. I love them that way. But I've never been able to eat a lot of lobster at once. It's too rich. So maybe that's why. Thx, Earnest! I will eat a lobster roll tomorrow in your honor! Irohner, You have written about my favorite food of all time. I could sit down to a couple of thermadors then still find room for these recipes! Another great hub! Thank you. Thanks for stopping by Joy, and have a lobster roll for me this weekend! I LOVE lobster rolls and can't wait to try these. Yummy and thanks! Nicole - They are deeeelish! Be sure to try the warm lobster roll, though. 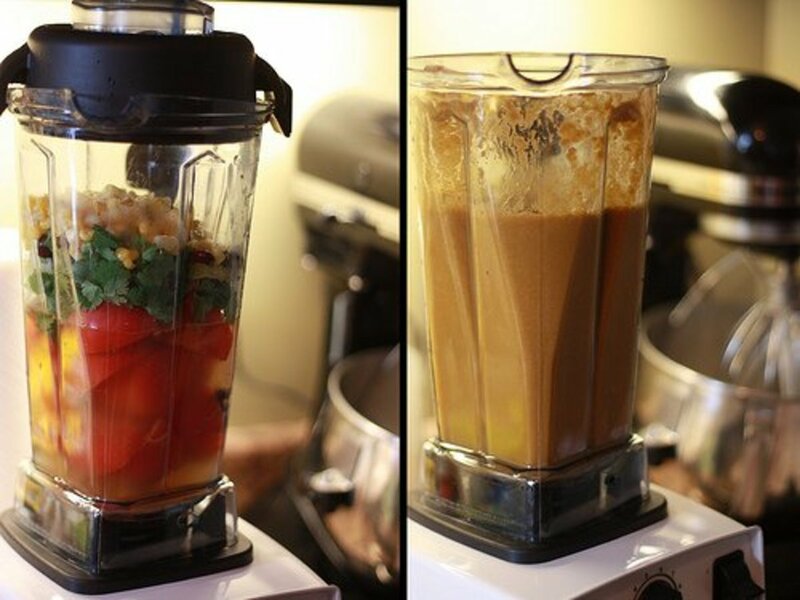 It's not only the easiest to make, it tastes the best! Thanks! Great hub, thanks for publishing this! I'd never heard of lobster rolls before, sounds tasty! Thanks Rnmsn! Appreciate the support. sounds yummy Irohner! great video and easy to follow recipe! Congrats on the nomination as well!!! Hi there Irohner. Remember you from the forums - so pleased to see your hard work has been rewarded with a place in the hub nugget top 5. Congrats and see you around. Thanks so much for the support and the vote, Dorrene. Glad you enjoyed the post! I loved your hub and the pictures are beautiful! I'm voting for this one! Girly girl - Vinegar? Hmmm... I think I understand why you get odd looks! :) Seriously though, this girl is game. I'll try it this weekend. And if you luv chowdah, be sure to have some at The Black Pearl in Newport, RI. It is da bomb! Wordscribe - THANK YOU for both your vote and the kind words. Mom - It really isn't as rich as you think. 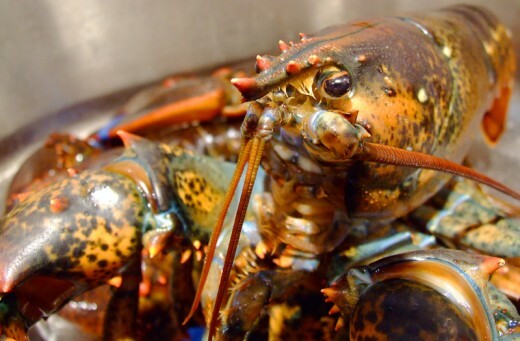 The lobster is usually prepared simply -- steamed or boiled. It's just drizzled with the melted butter. You really should try it sometime. Thanks for stopping by! Oh wow. I really enjoy lobster straight from the shell, but in a roll fried with butter seems a little rich. Maybe not. I've never tried it. I learn the most interesting things around here. Just voted for your hub. Great group of hubs this week, but in the end I thought yours was just too well done to NOT vote for. Good job. I will be watching the results as I eat lobster. OMG - I am so hungry! Rye crisps and tomato slices are just not going to cut it. Congratualtions on your nomination. Well-deserved. Thanks for the support Ripple and Wordscribe! Congratulations on your HubNugget nomination!!! Two of mine were picked and won the top 5, it really does bring in a lot of traffic. Fantastic hub. Now, I must go find lobster. Yum. You are making me hungry!!! How could you? LOL It's almost midnight. Did I just promise no more eating midnight snacks? Hahaha Hey congratulations for being a Hubnugget Wannabe! To join the Hubnugget Fun and support our hubbers click this link: https://hubpages.com/community/Summer--and-the-Hub... :-) Good luck...happy hubnuggeting! I'm in the warm lobster roll camp myself. Would love to hear which one you think is best. Thanks for stopping by! Well, we've certainly got to try these recipes as we haven't had them since our last visit to Bar Harbour, Maine.